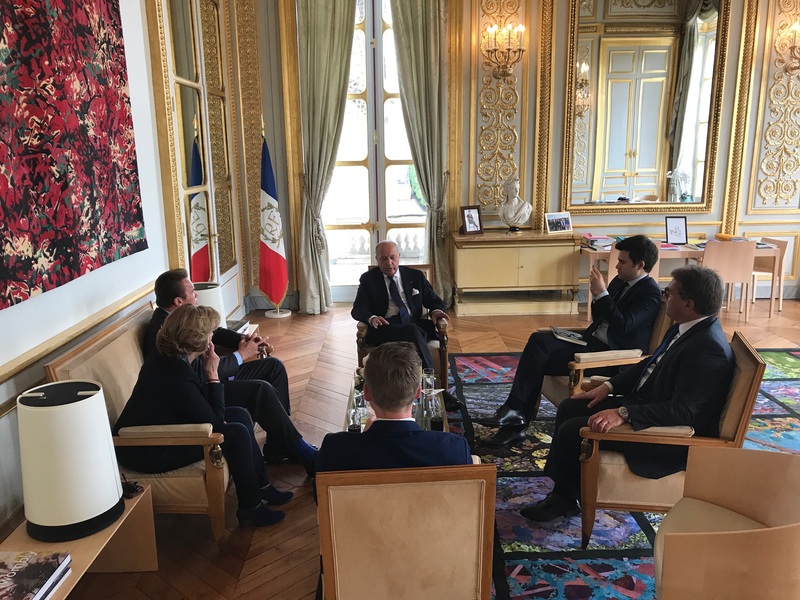 Former California Governor, and R20 Founding Chair, Mr. Arnold Schwarzenegger, attended meetings in Paris last Friday with French President Mr. François Hollande, Mr. Laurent Fabius (President of the French Constitutional Council), and Ms. Anne Hidalgo (Mayor of Paris and Chair of C40 Cities). They shared their common vision for tackling climate change, and discussed ways to work together to implement the 2016 Paris Climate Agreement. 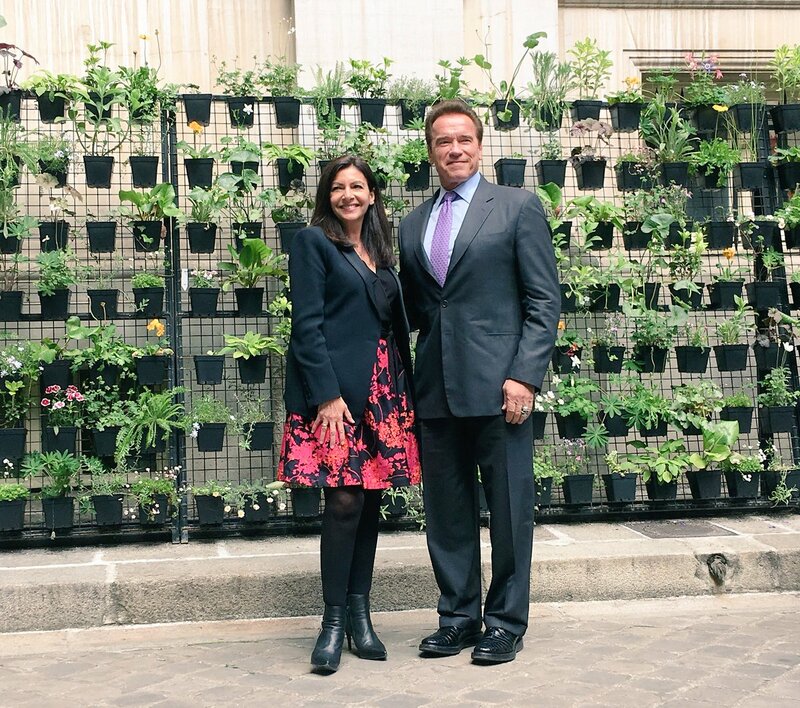 Mr. Schwarzenegger and Ms. Hidalgo met at Paris City Hall to discuss the role sub-national governments have to play in tackling climate change. The meeting culminated with a signed agreement between C40 and R20 to reinforce bottom-up climate action by regions and cities. 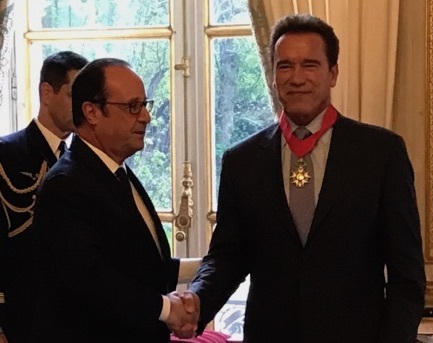 Mr. Schwarzenegger finished his Paris tour with a reception at Elysée Palace, where President Hollande presented him with the Legion of Honour, with Commandeur distinction, for his strong environmental legacy. The Legion of Honour is the highest French order of merit for excellence in military and civil duties. To read more, download the press release.